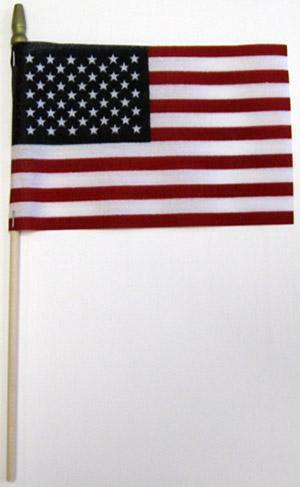 Our mini American flags on staffs are great for showing your patriotic spirit at special events. This 4x6" U.S. flag comes mounted to woodend dowels and ready to wave in the crowd. The no fray material does not require hemming. Perfect give-aways and to enhance any festive occasion.